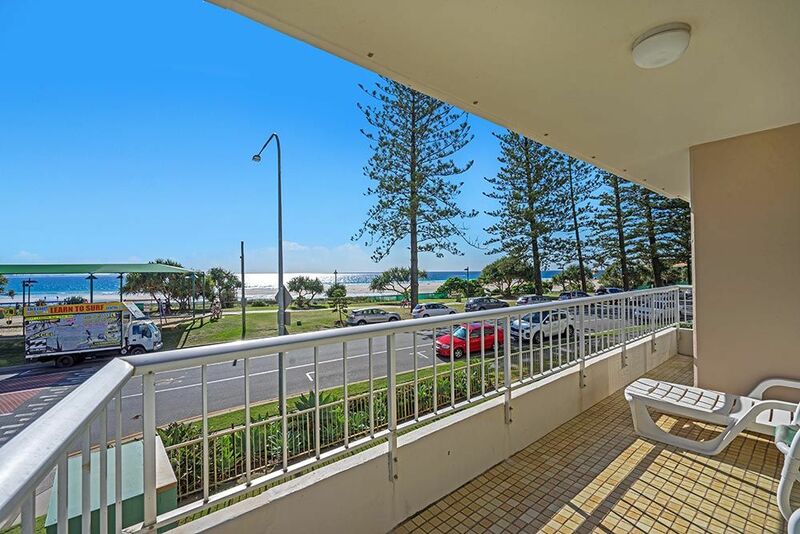 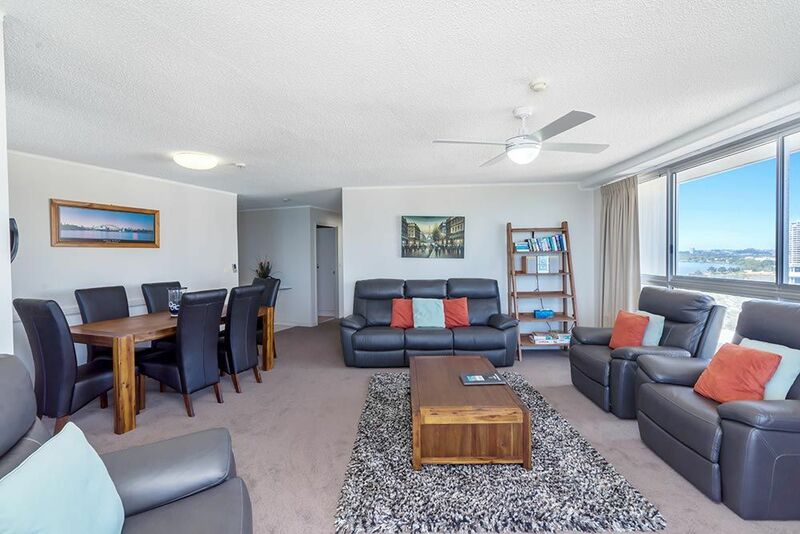 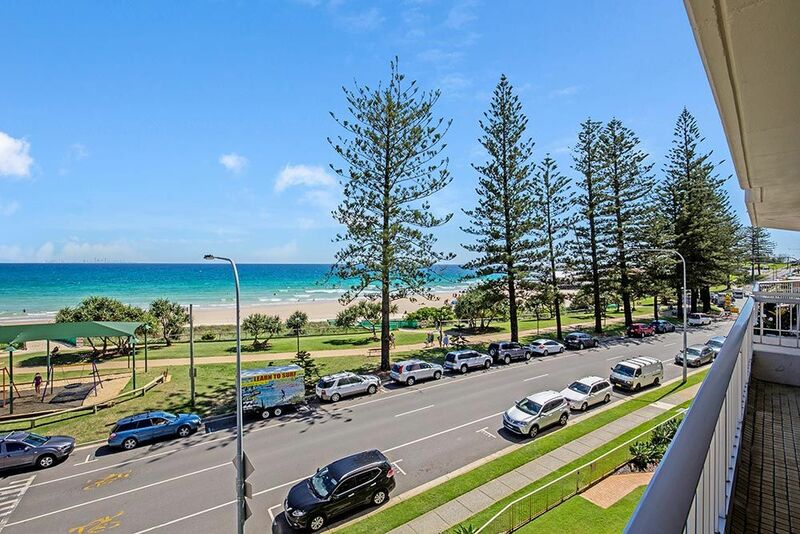 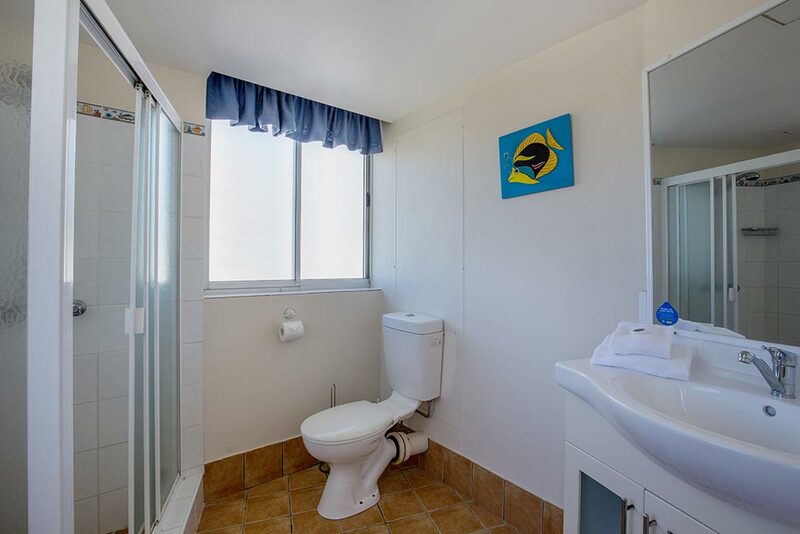 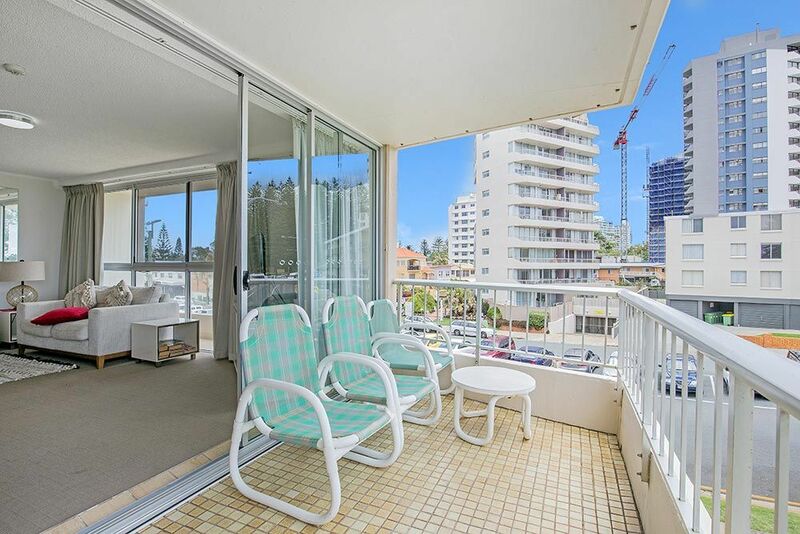 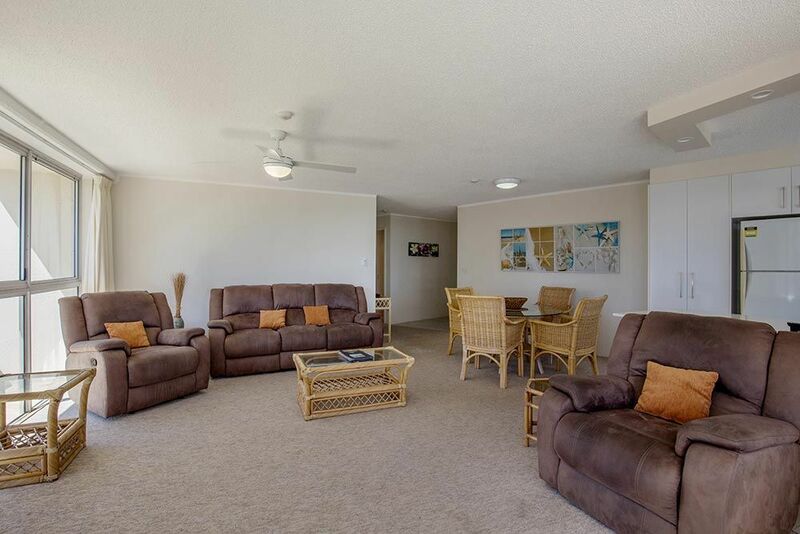 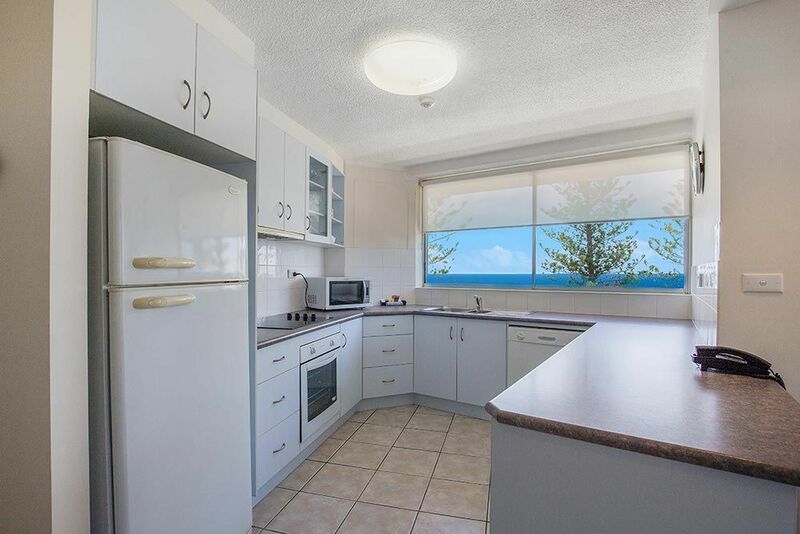 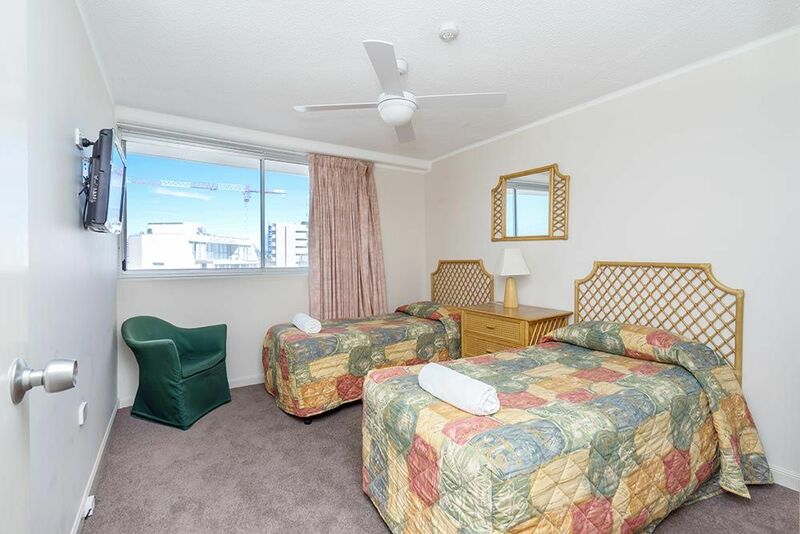 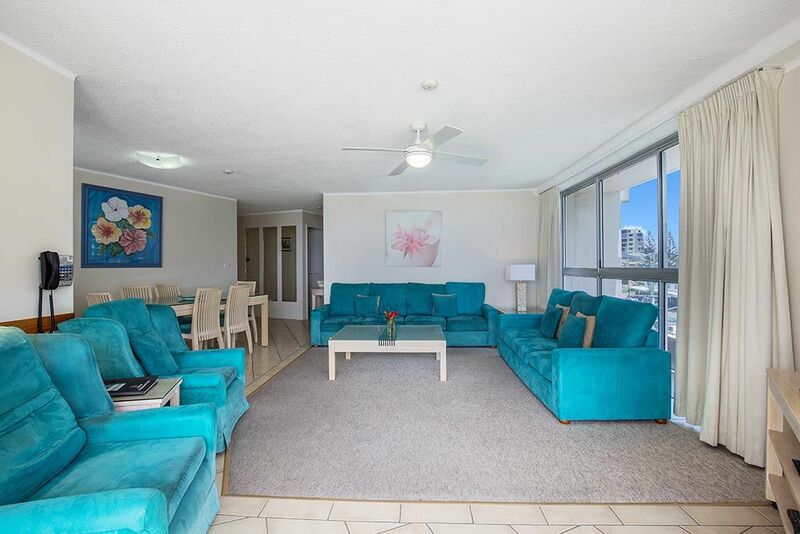 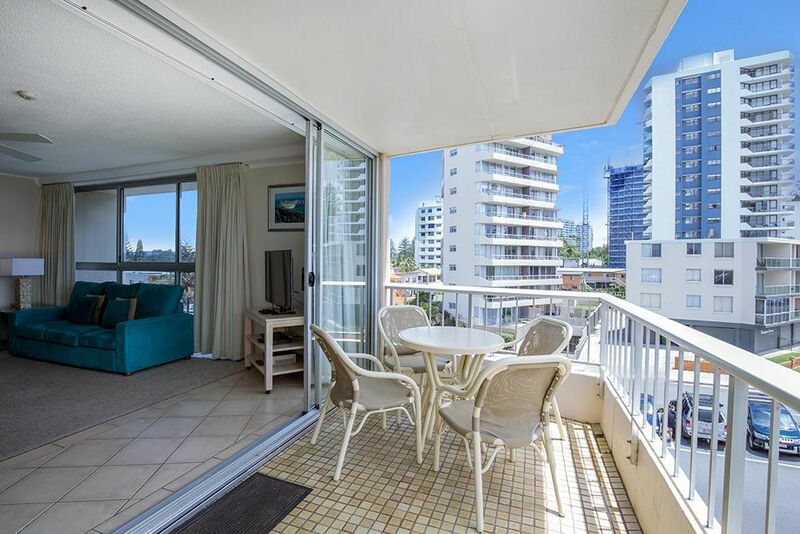 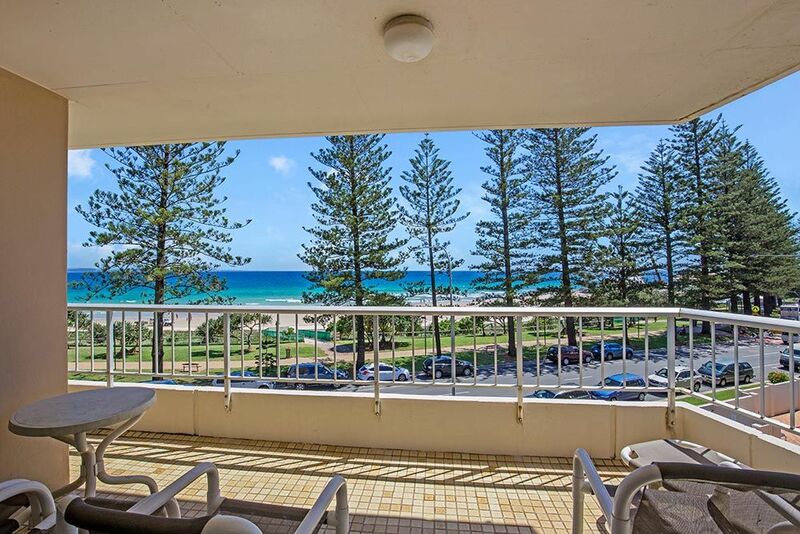 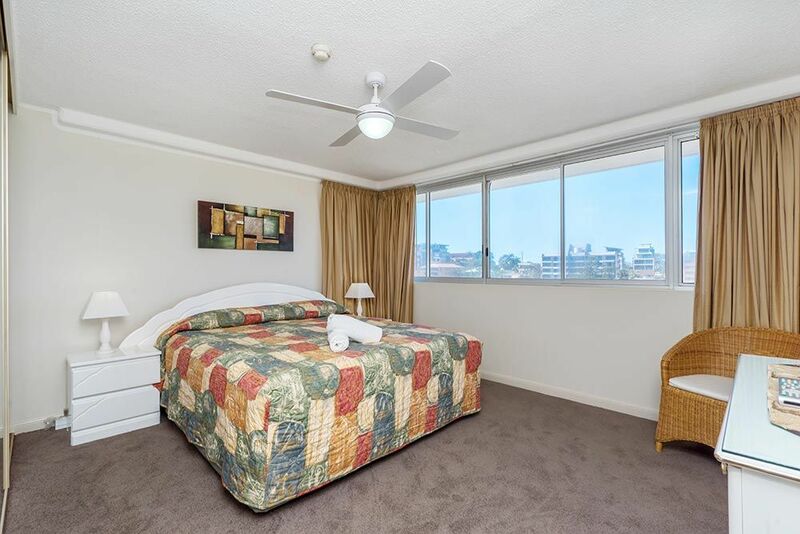 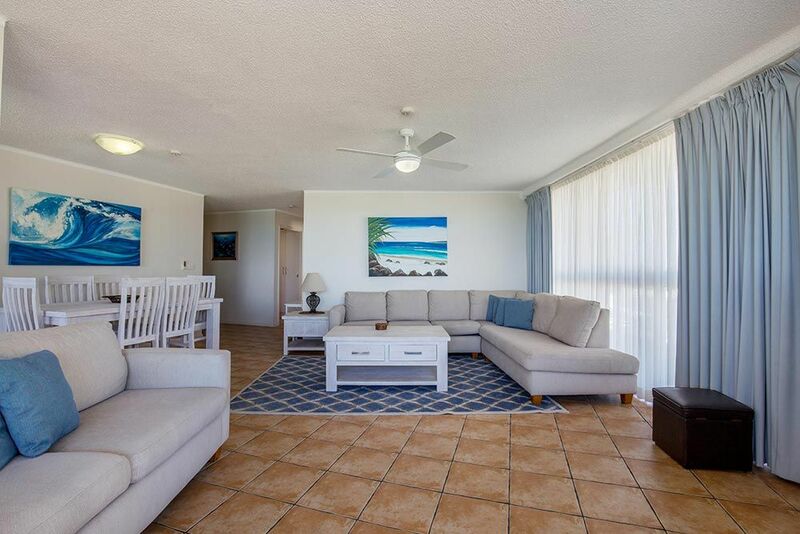 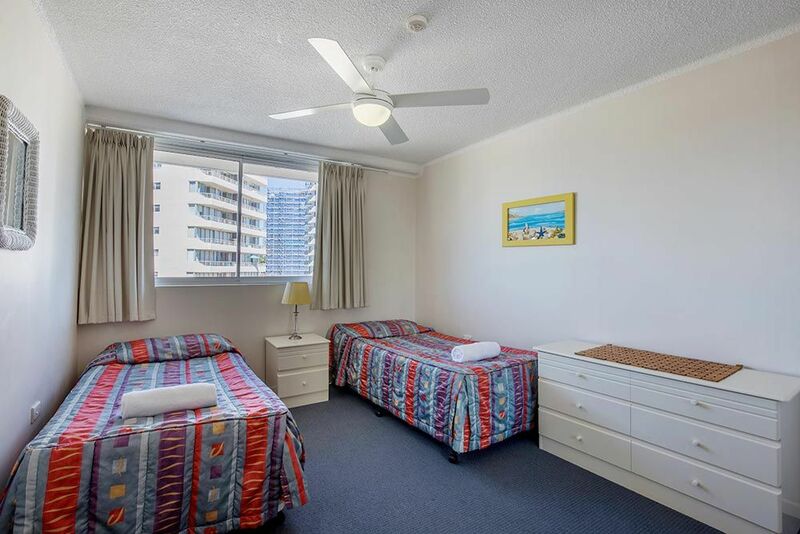 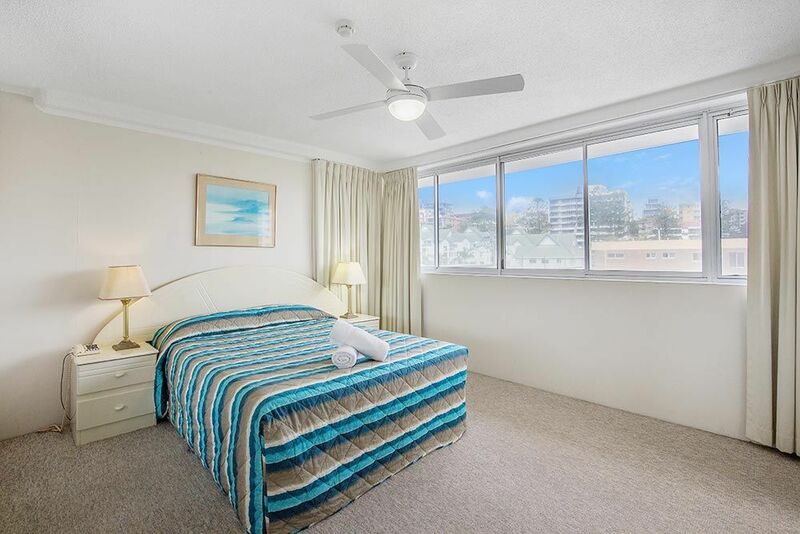 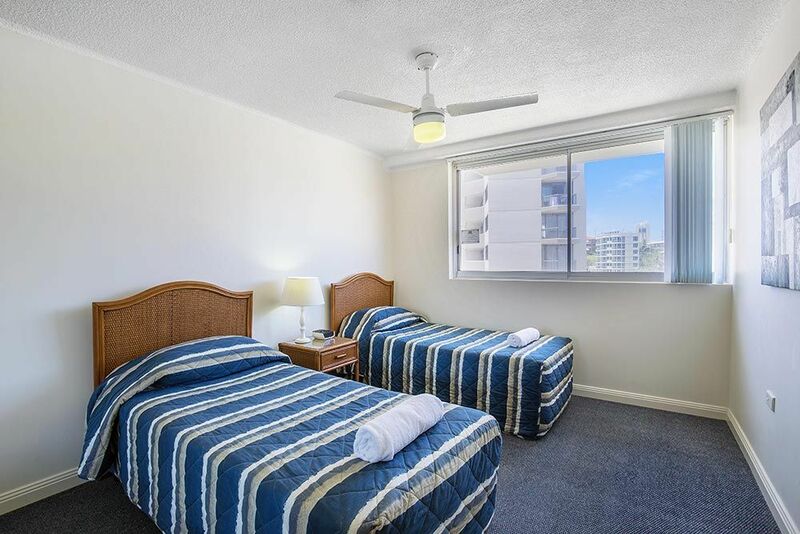 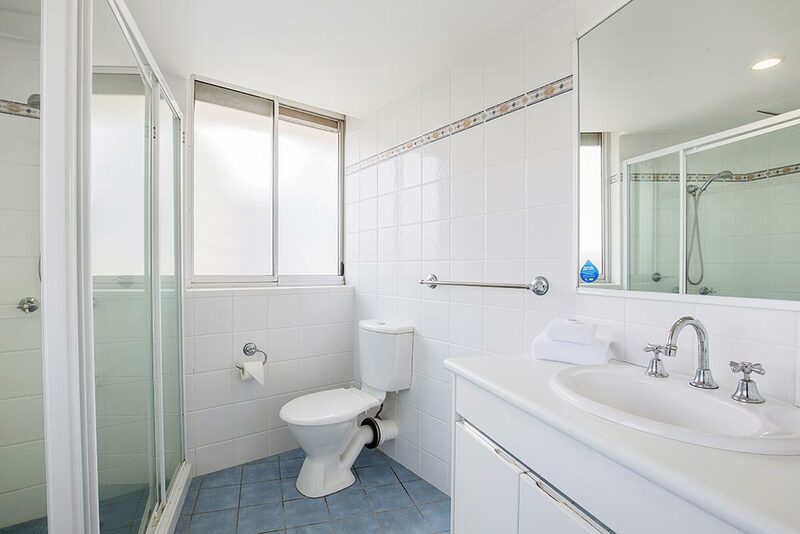 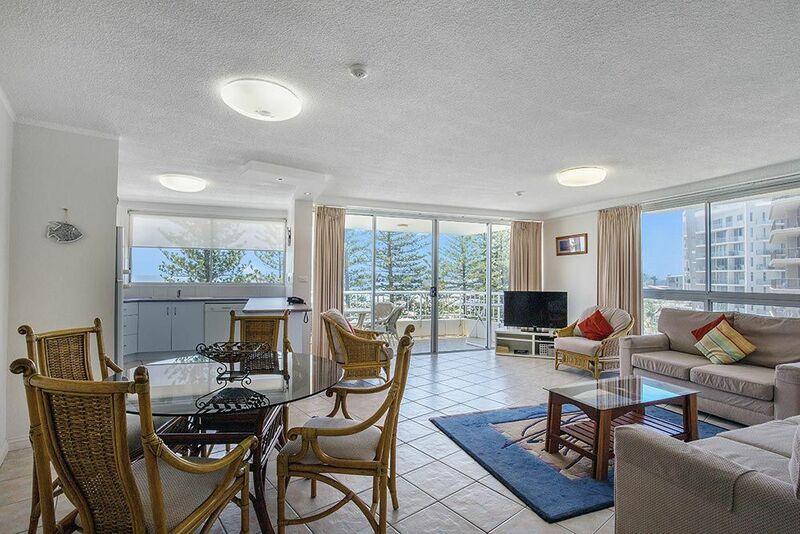 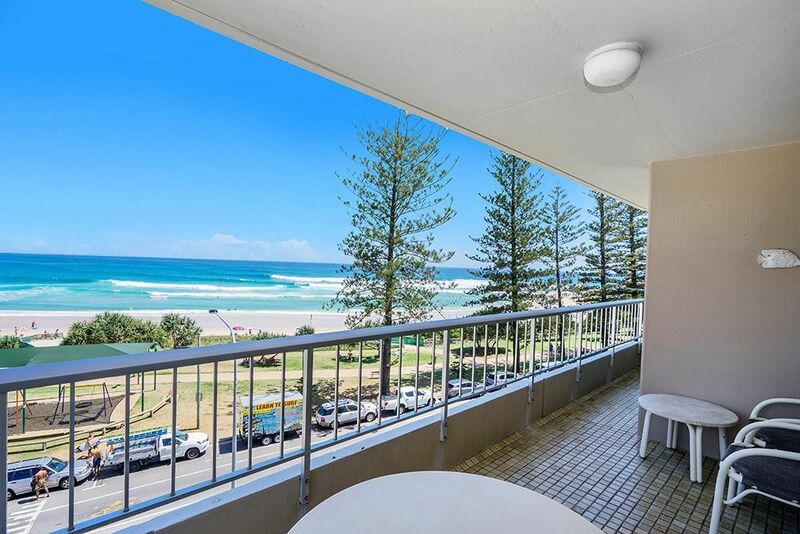 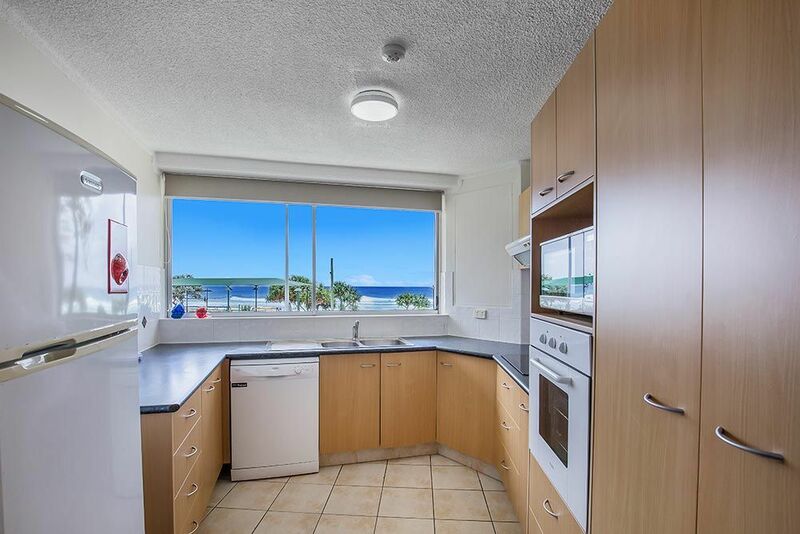 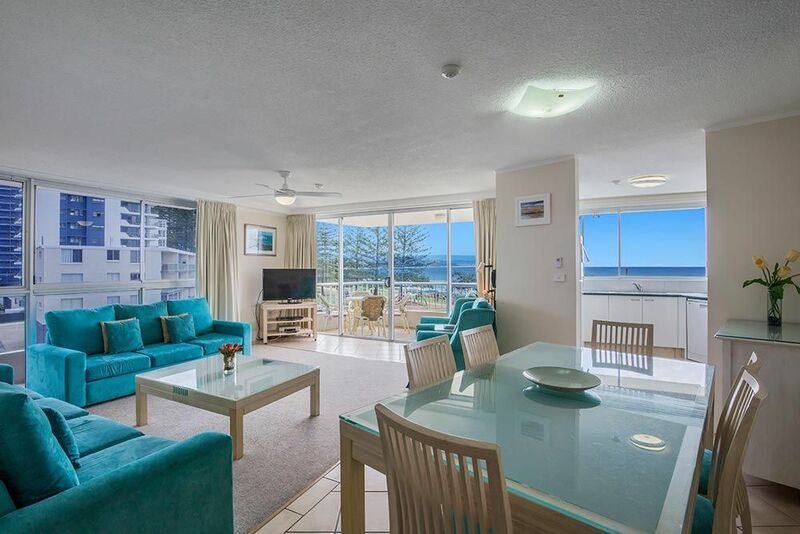 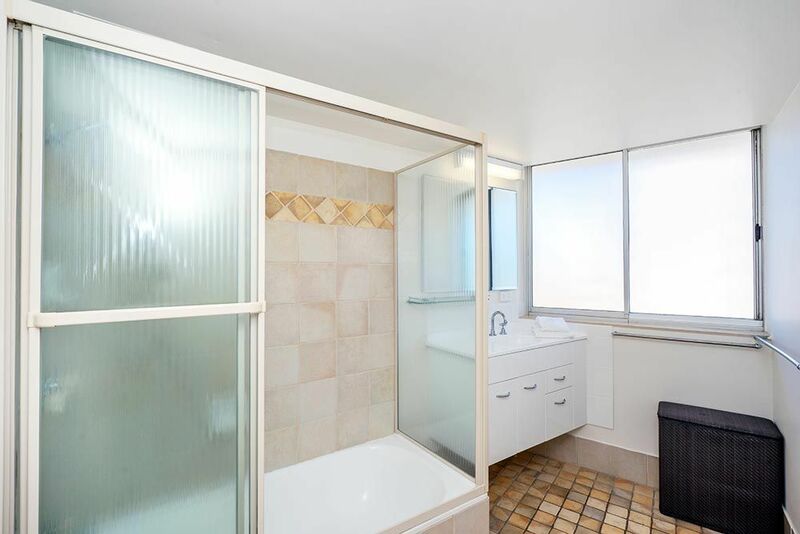 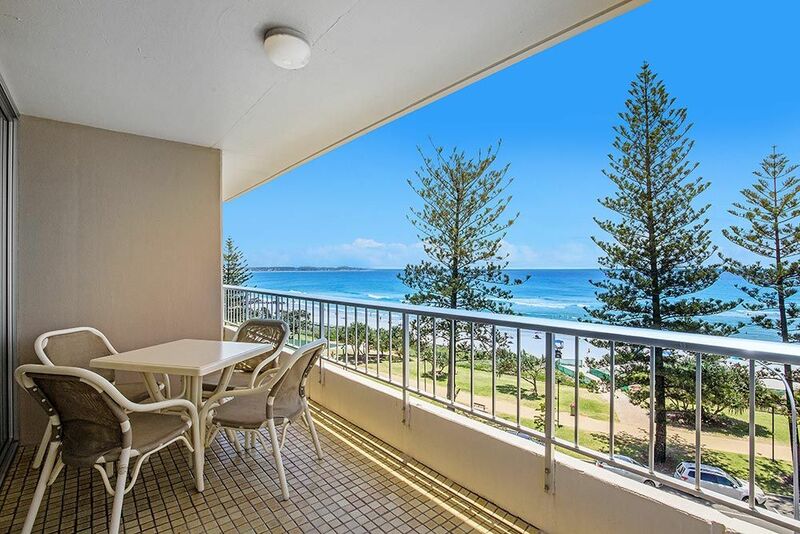 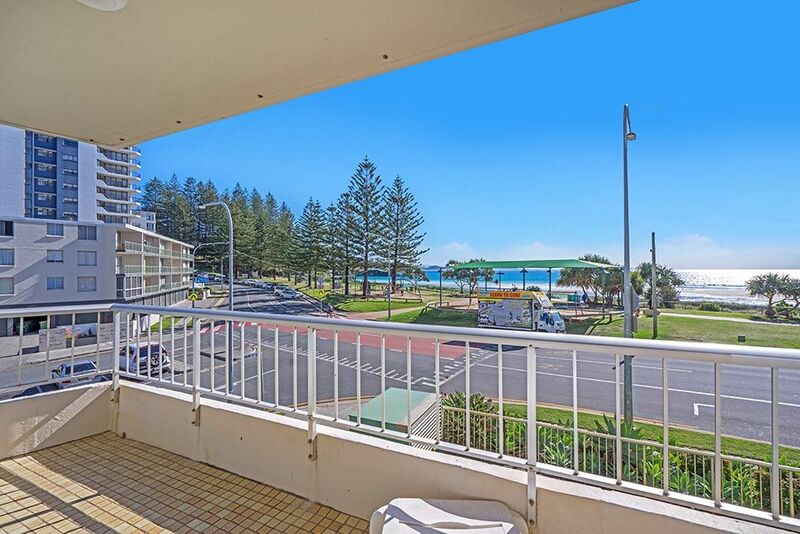 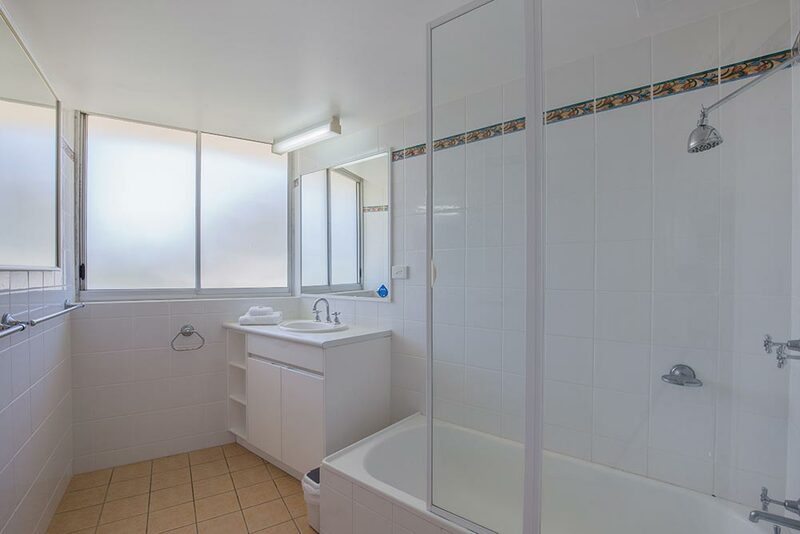 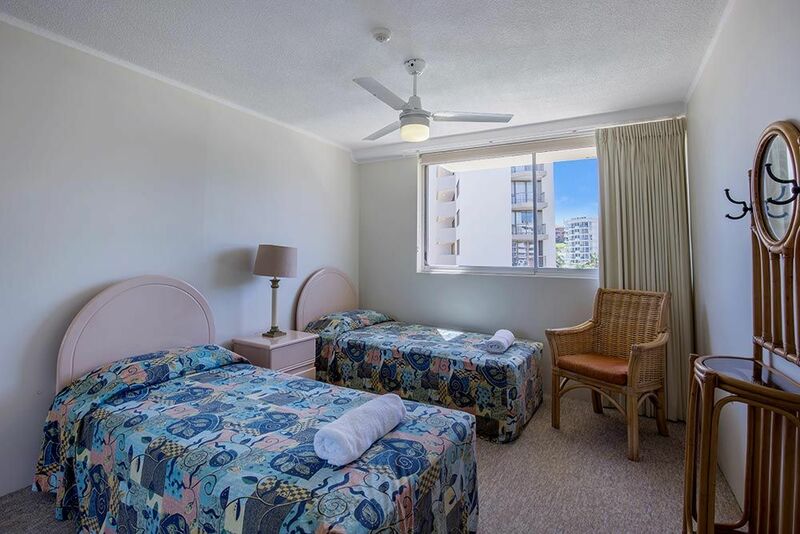 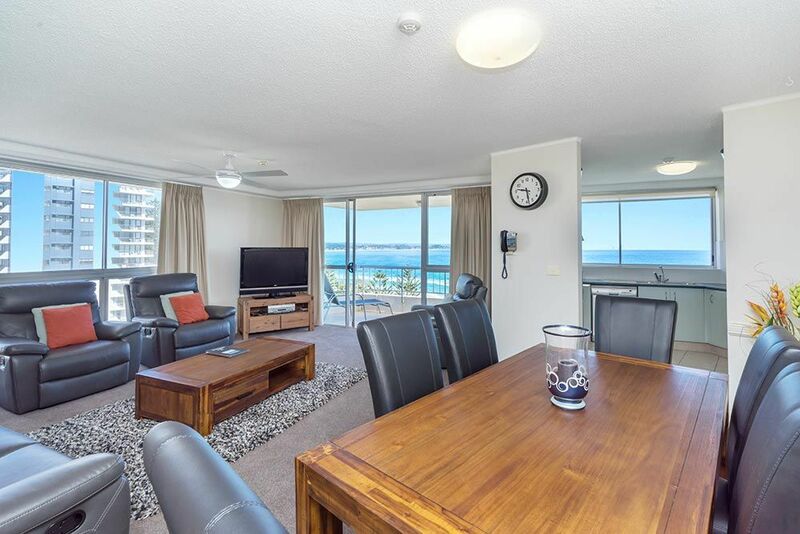 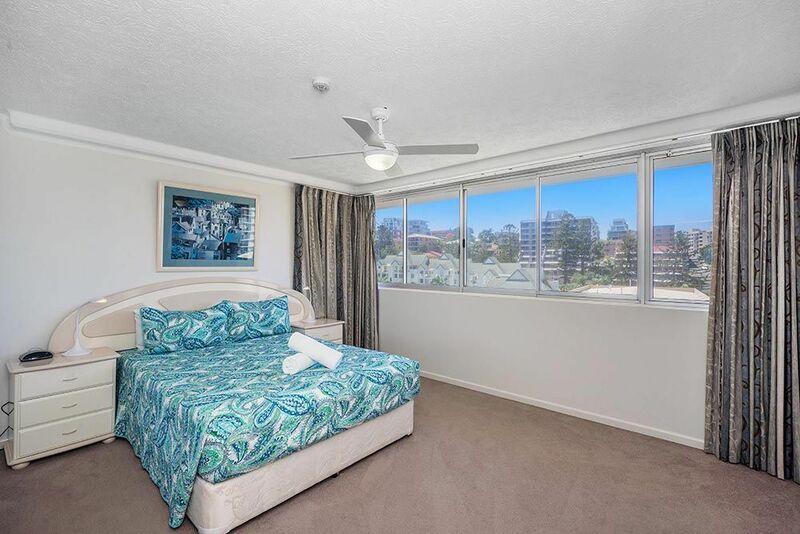 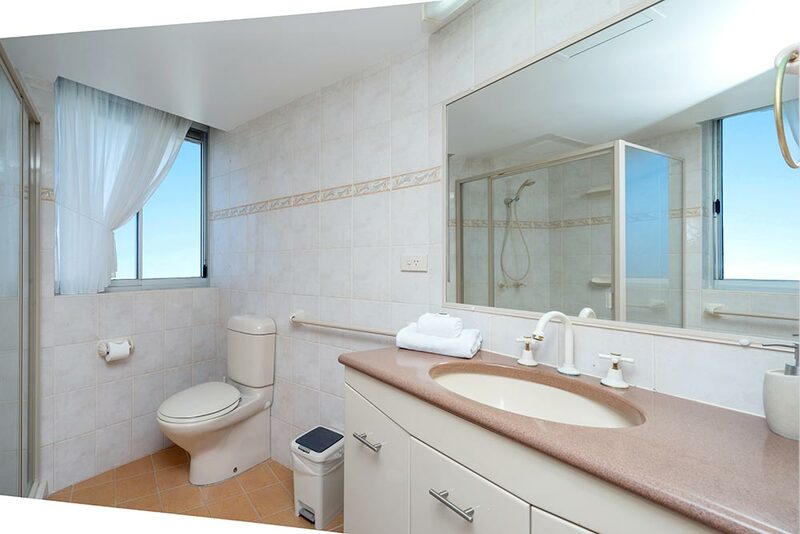 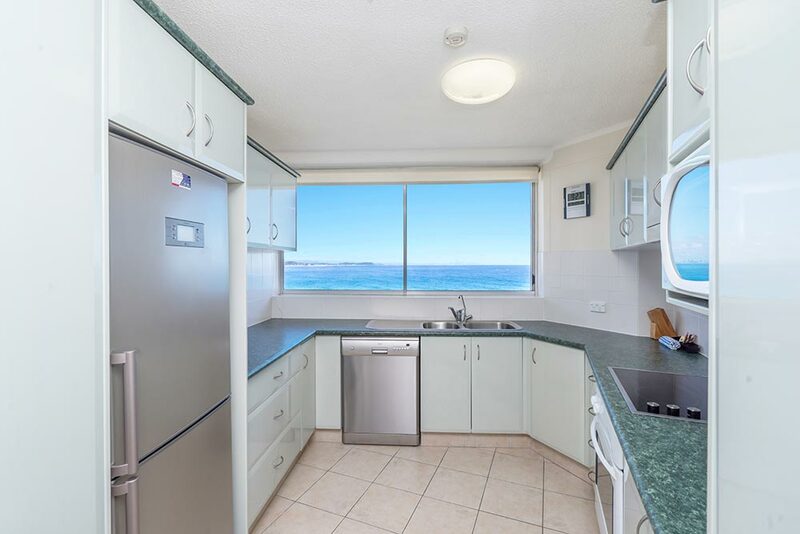 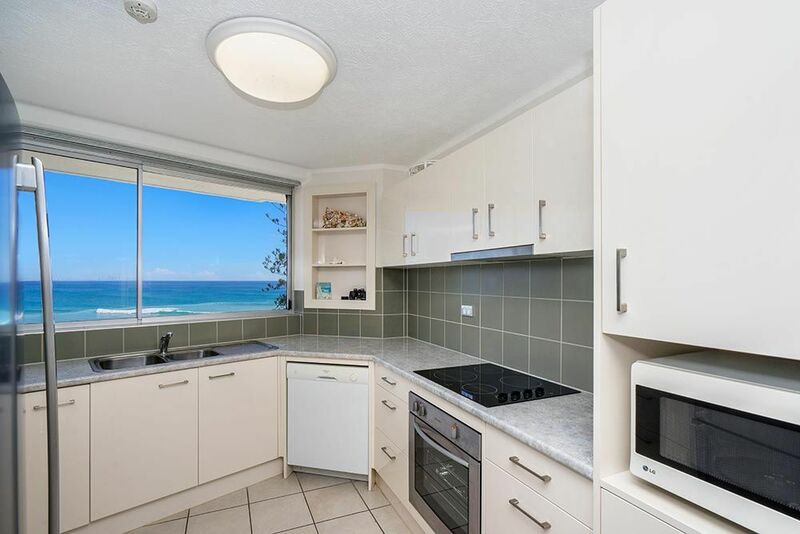 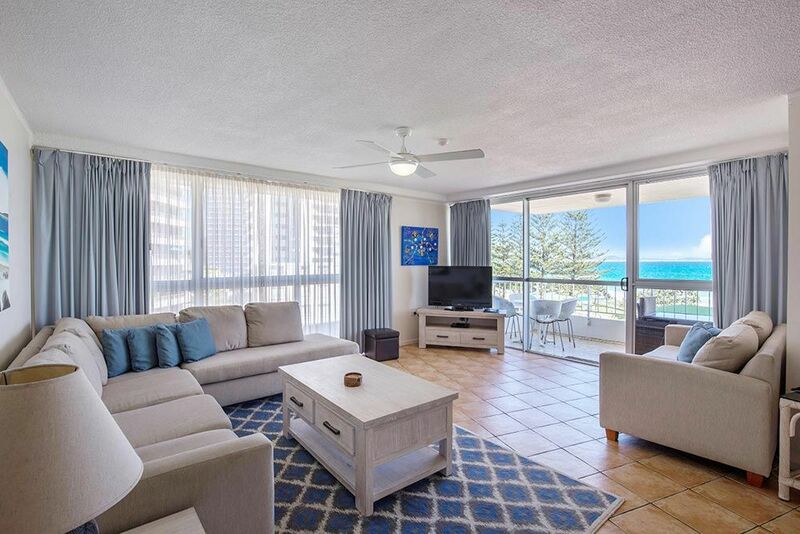 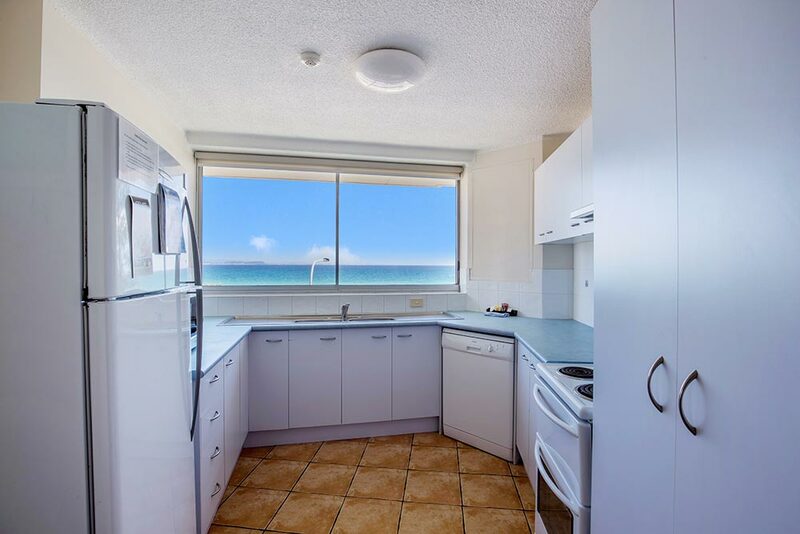 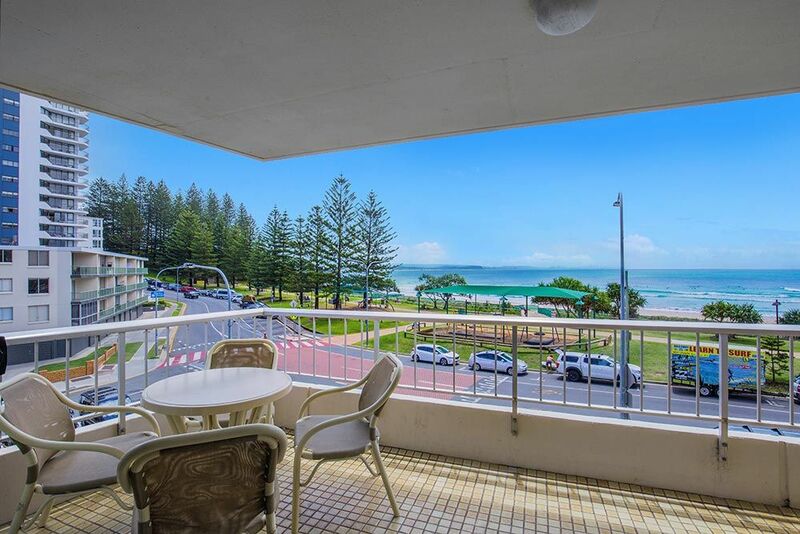 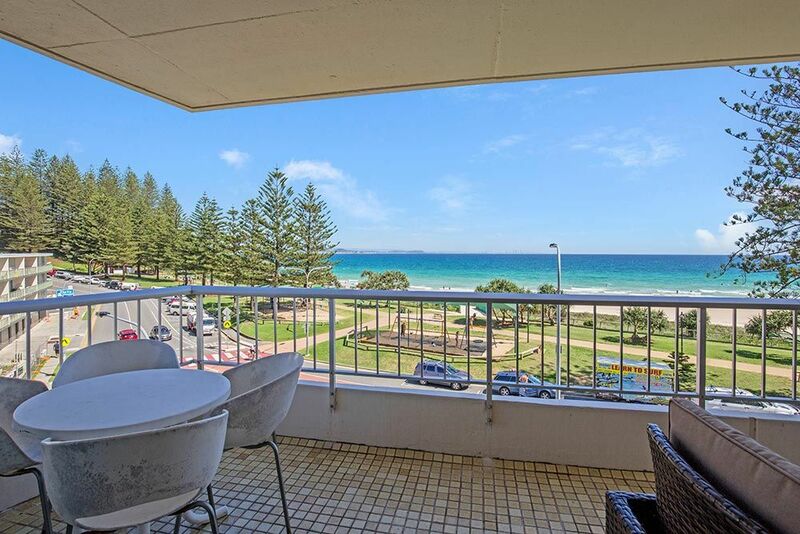 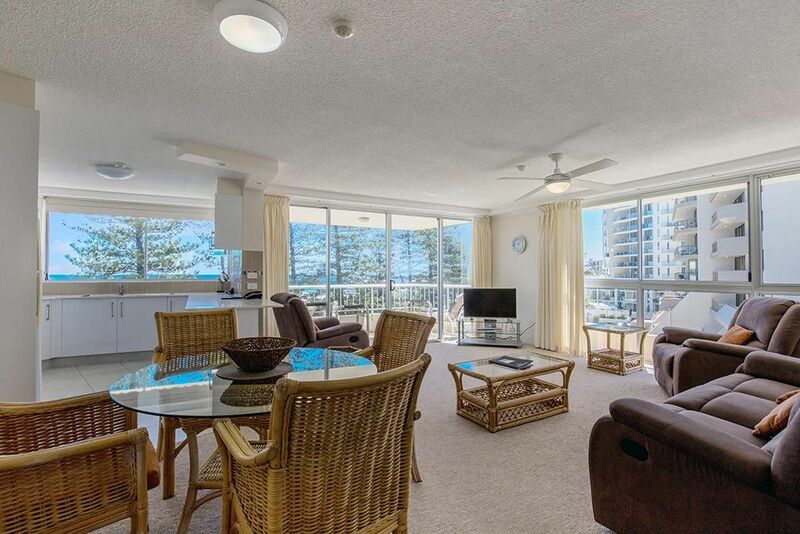 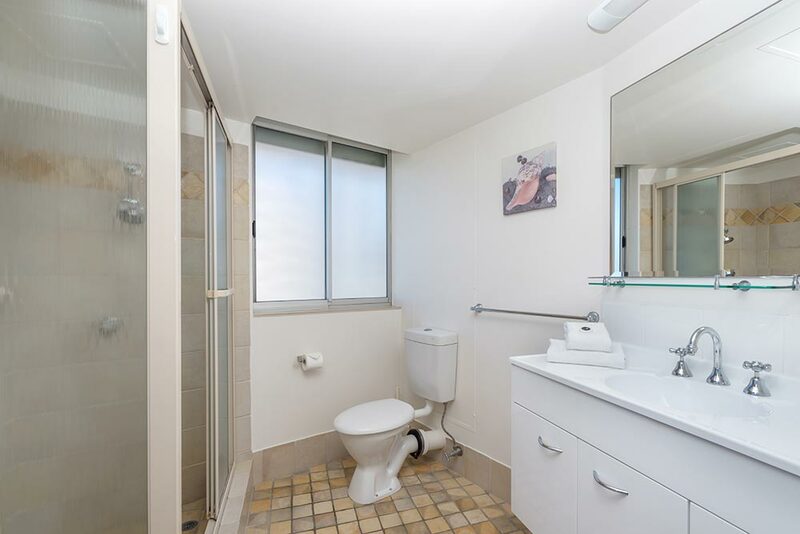 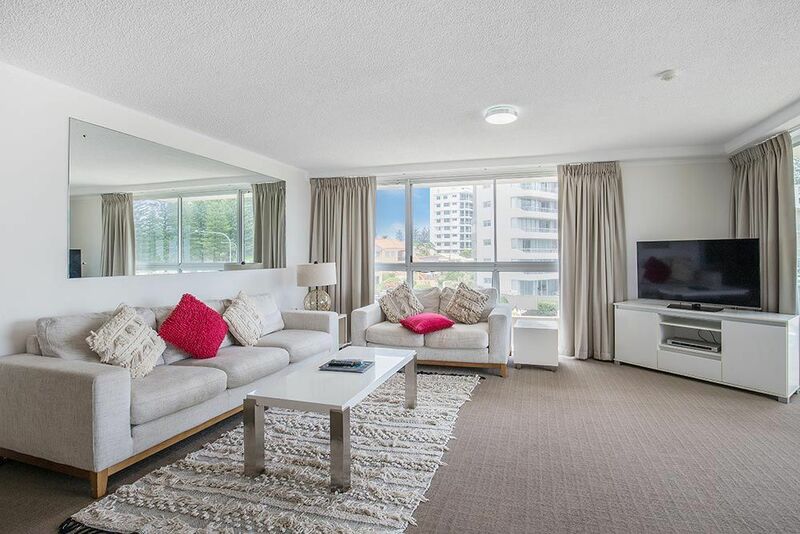 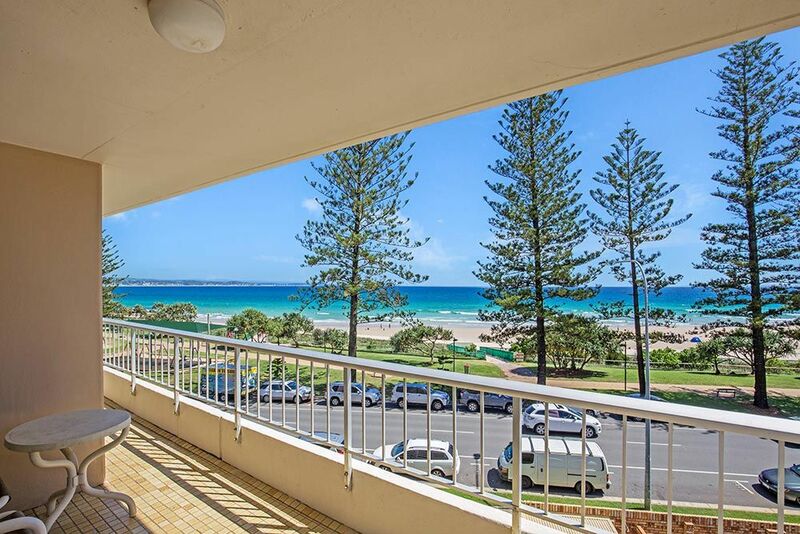 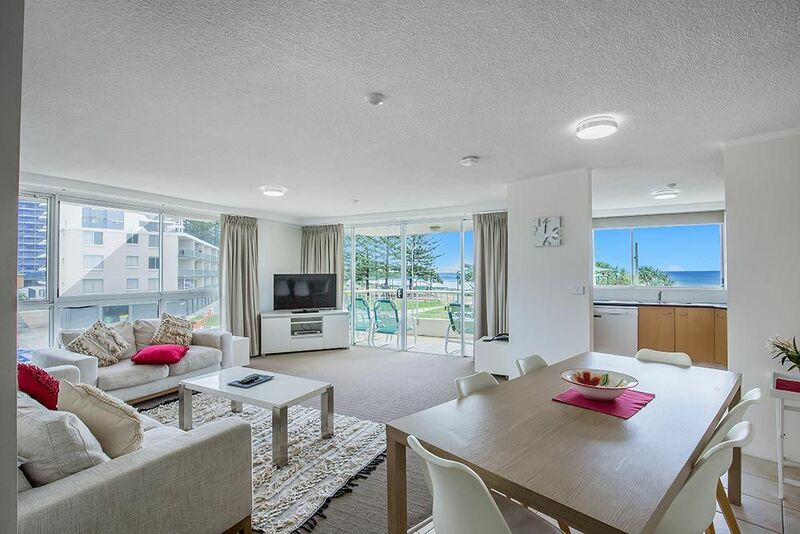 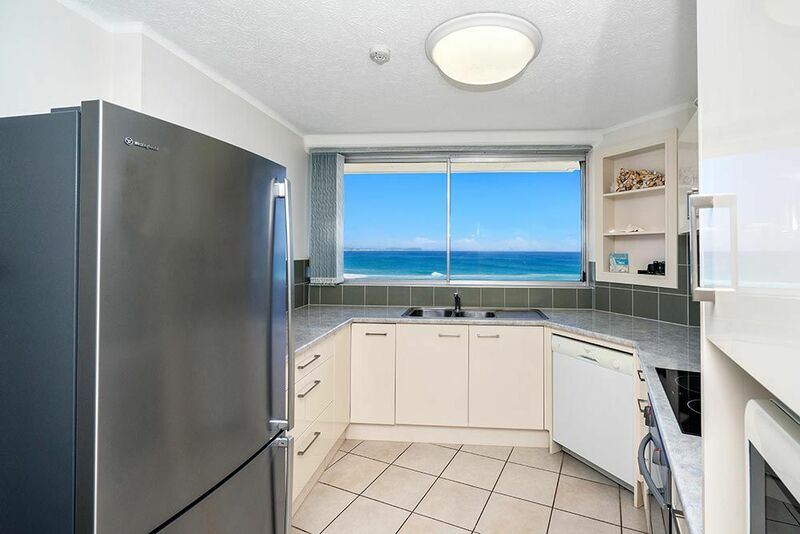 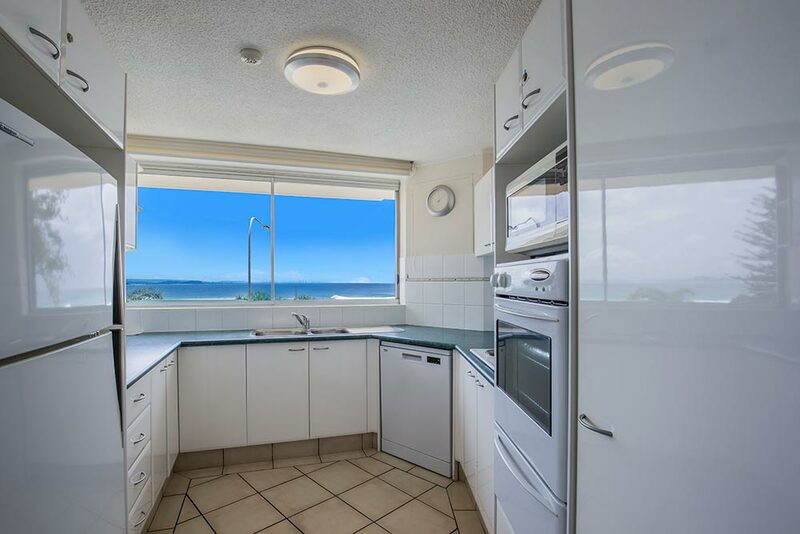 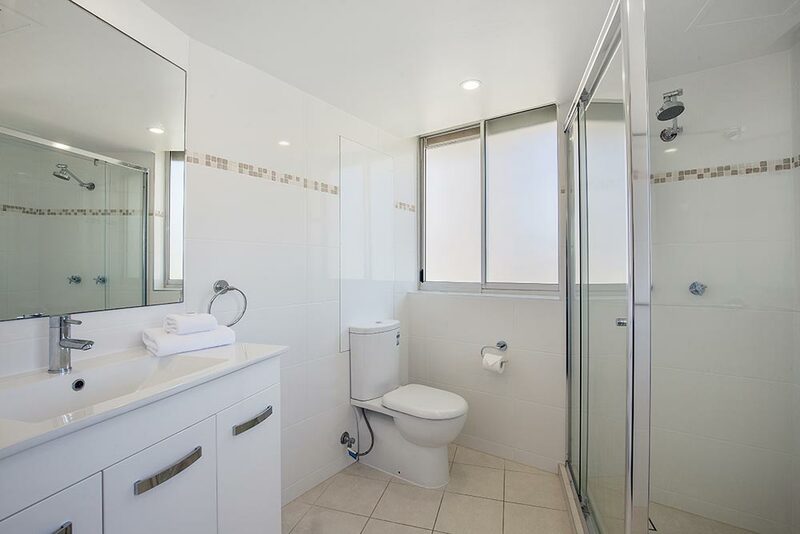 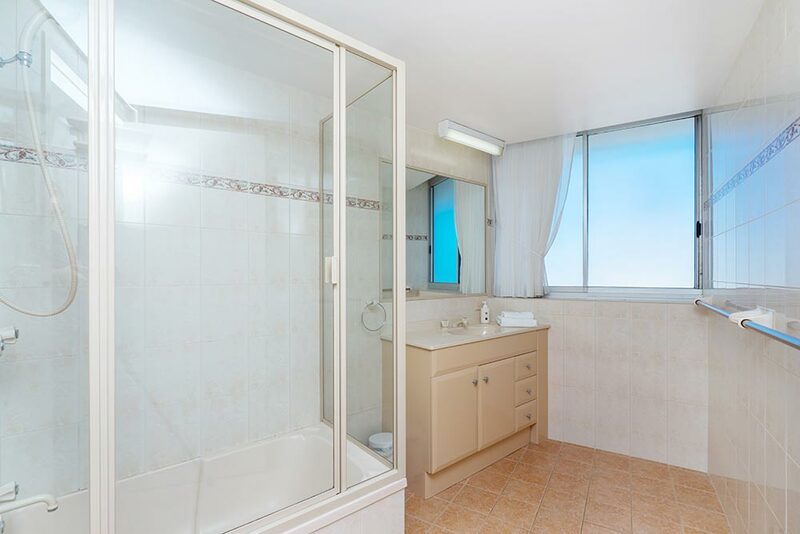 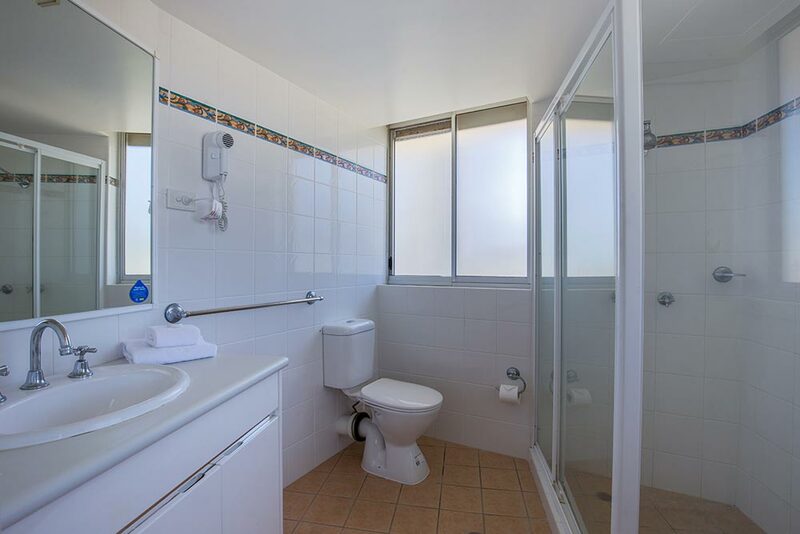 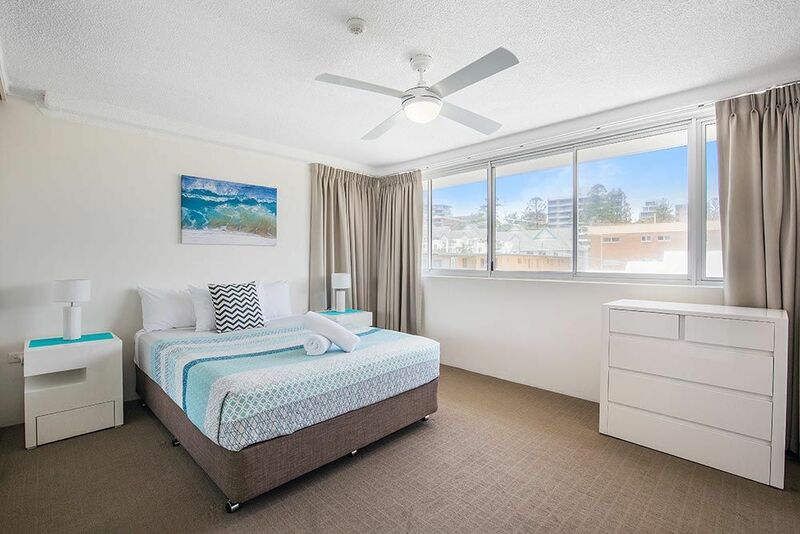 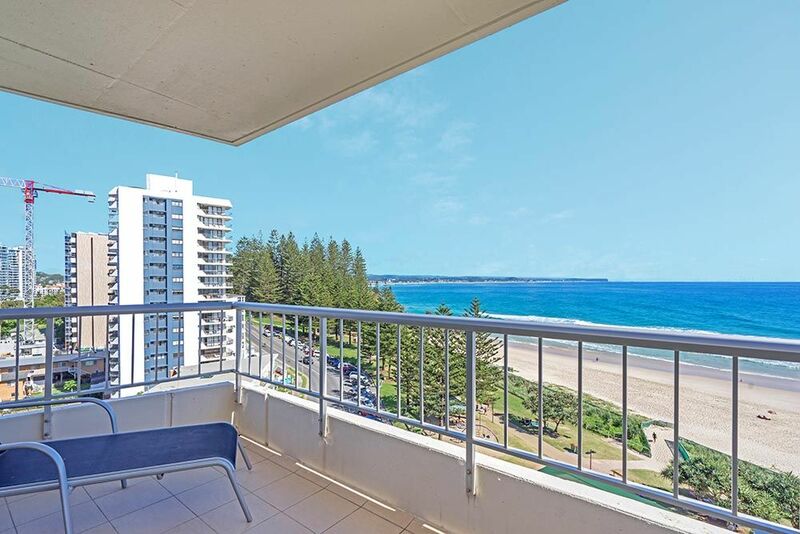 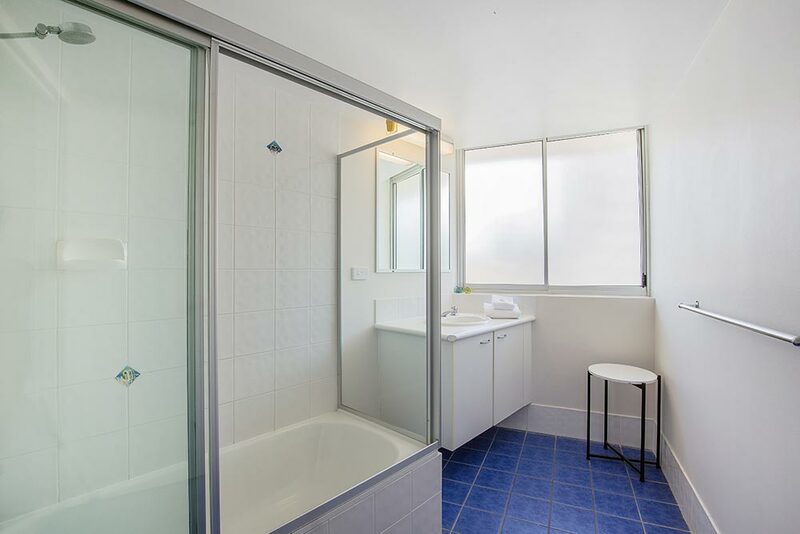 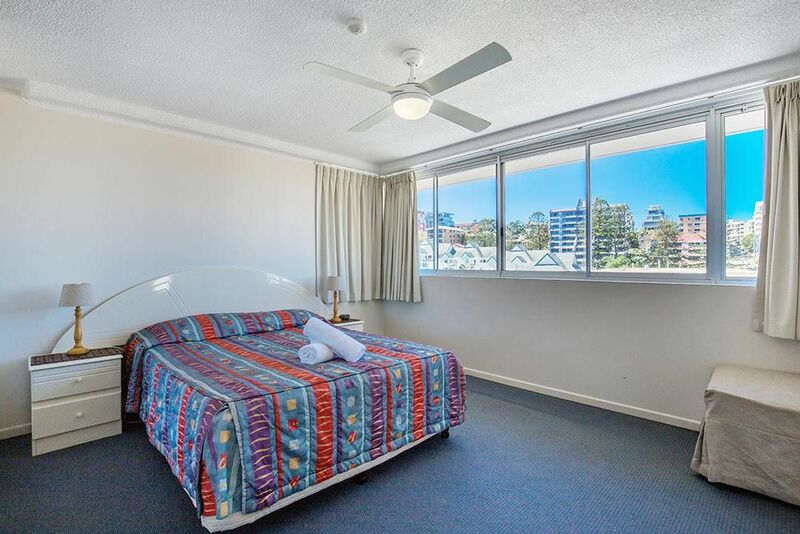 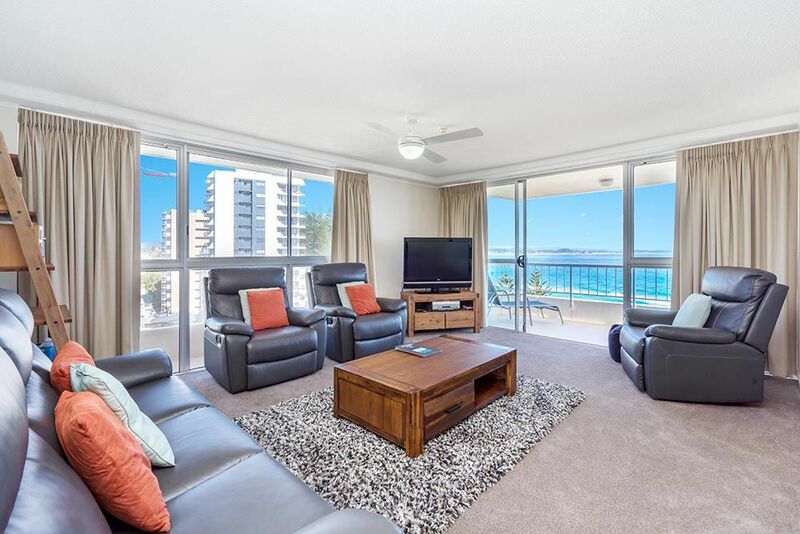 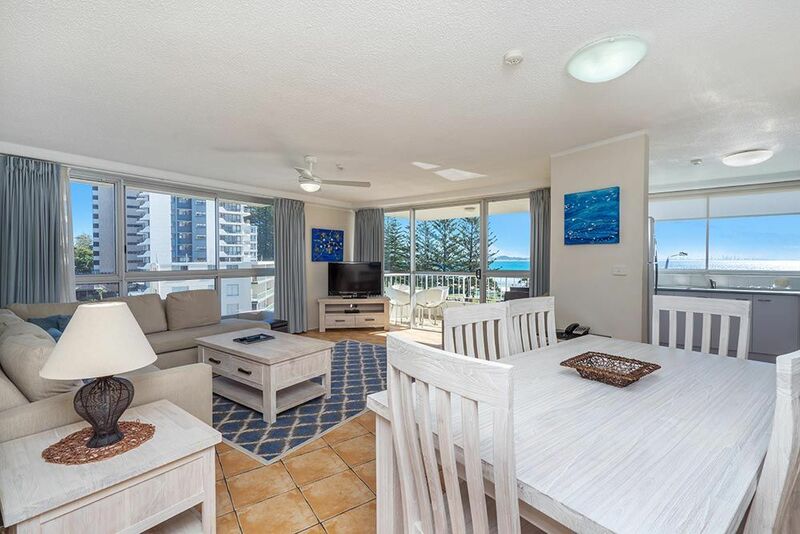 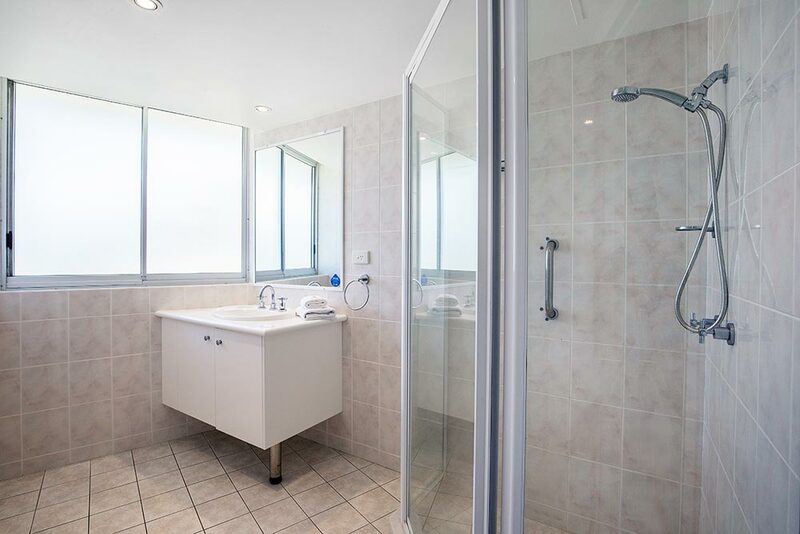 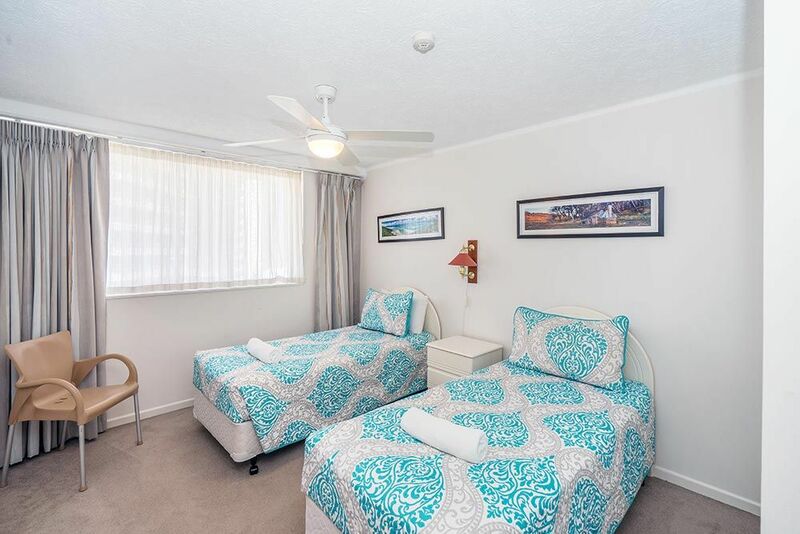 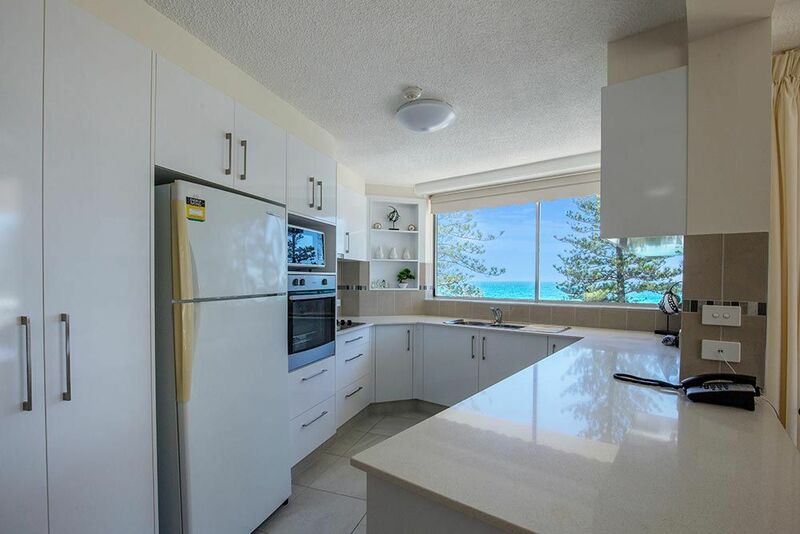 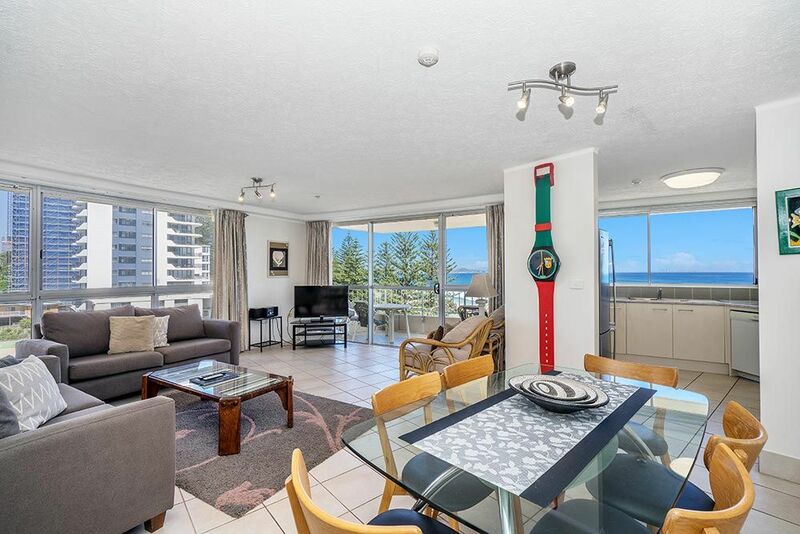 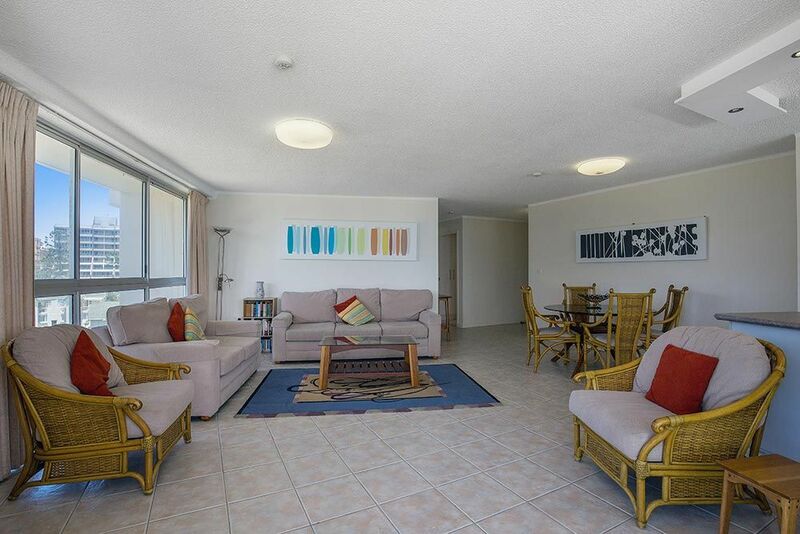 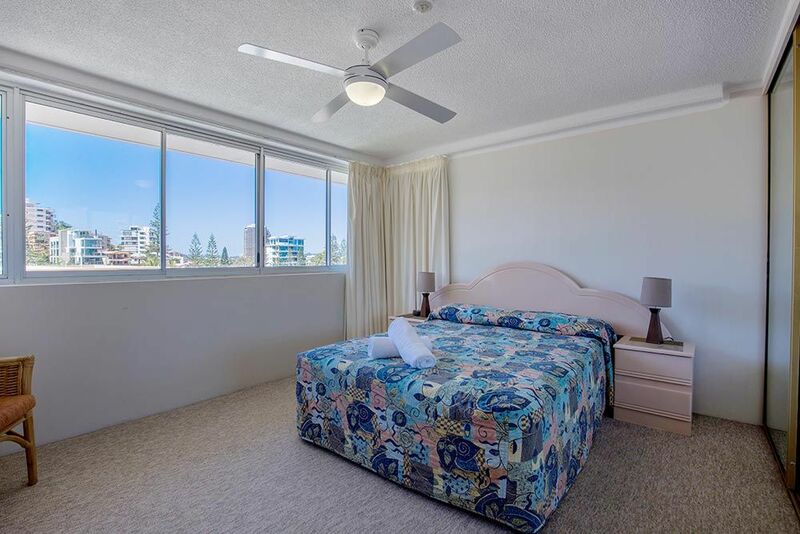 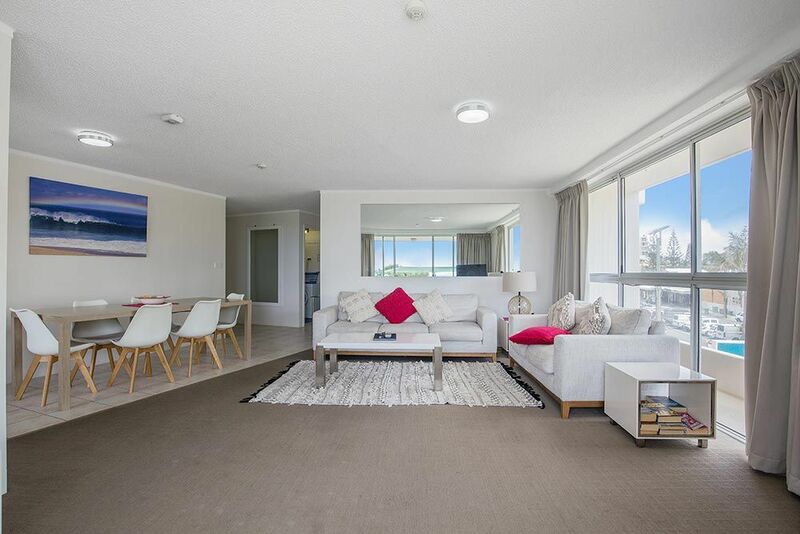 Our 2 bedroom moderate apartments range from Level 1 through to Level 9 each with full ocean views of Rainbow Bay. 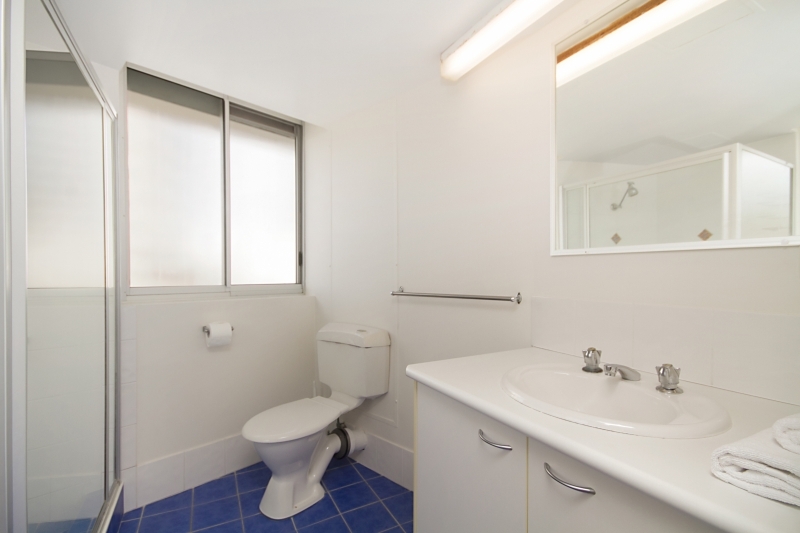 These are clean and comfortable and have been semi – renovated. 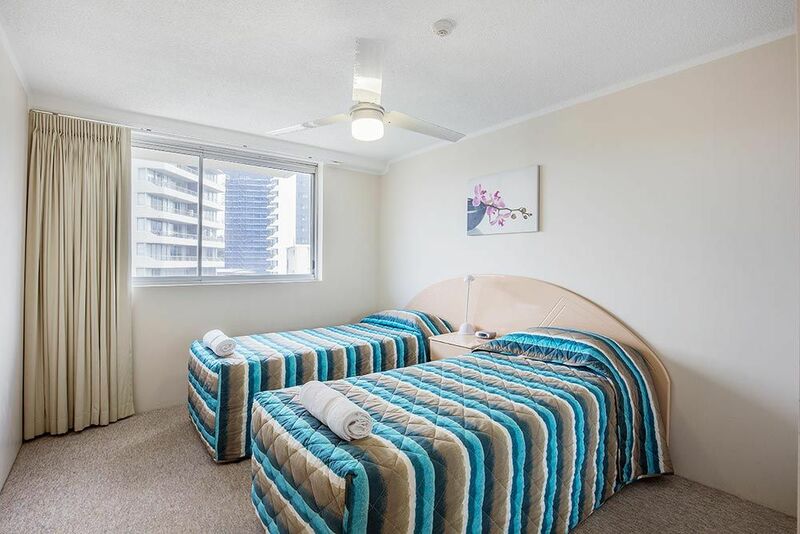 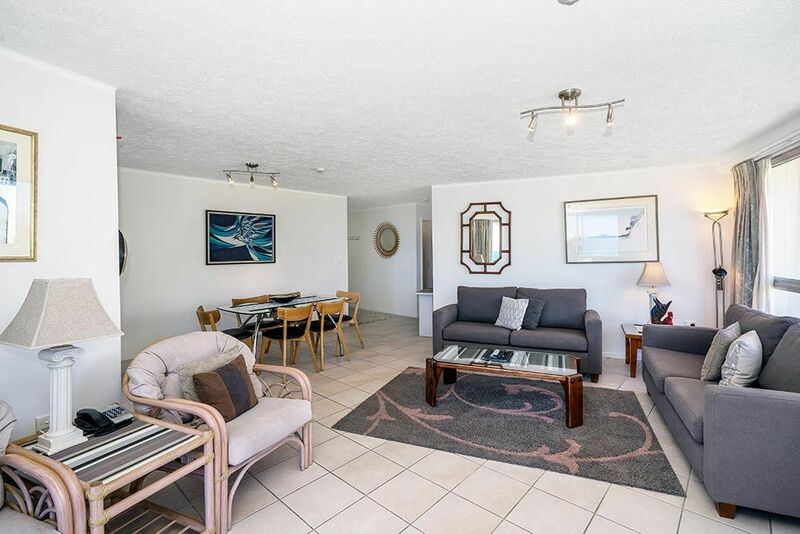 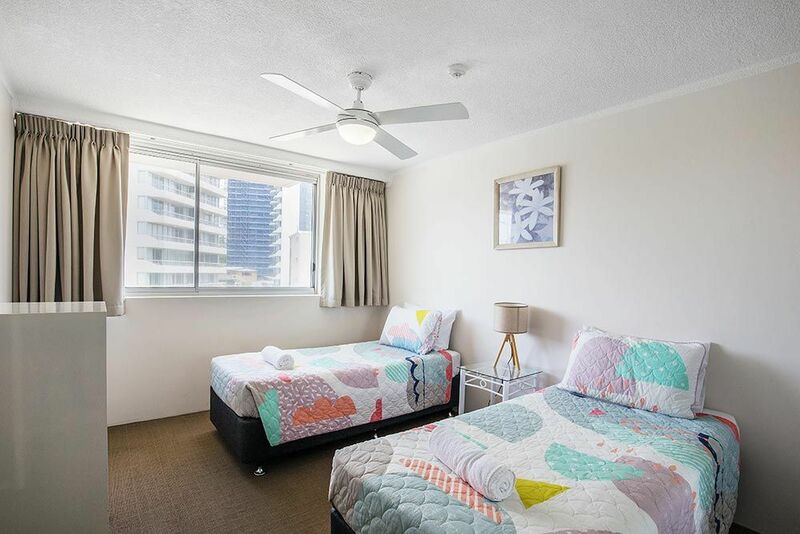 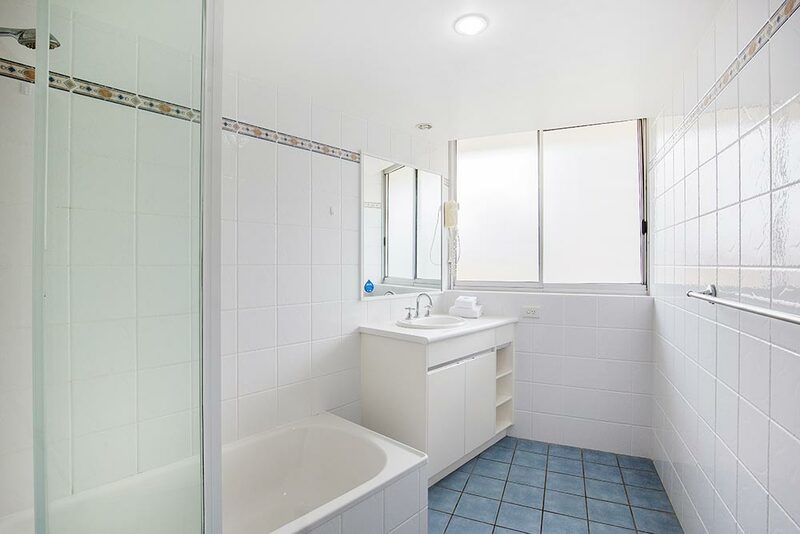 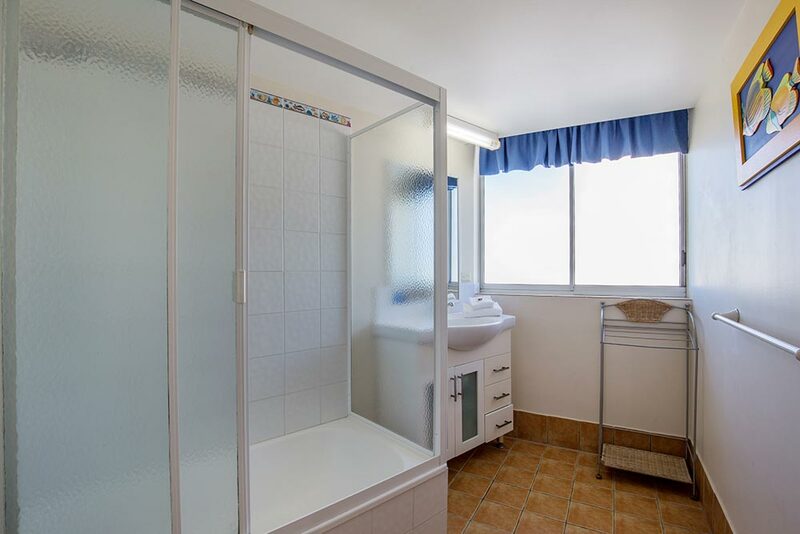 Depending on the apartment there is either a Queen or King Bed in the Main Bedroom with an ensuite and 2 Singles in the Second Bedroom with a separate bathroom and toilet. 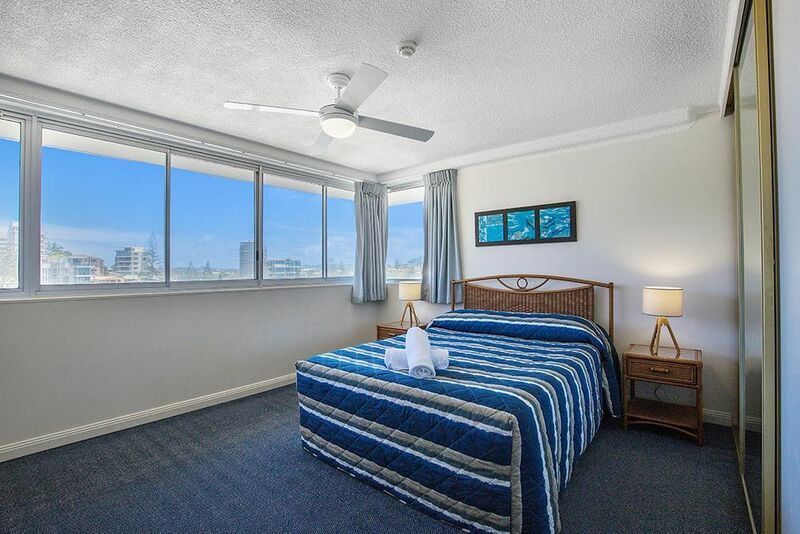 There is a TV in both the Lounge and Bedroom. 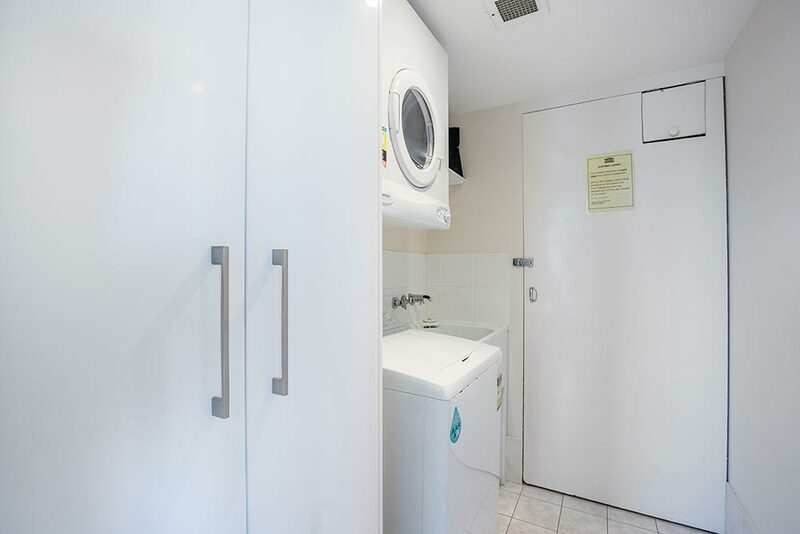 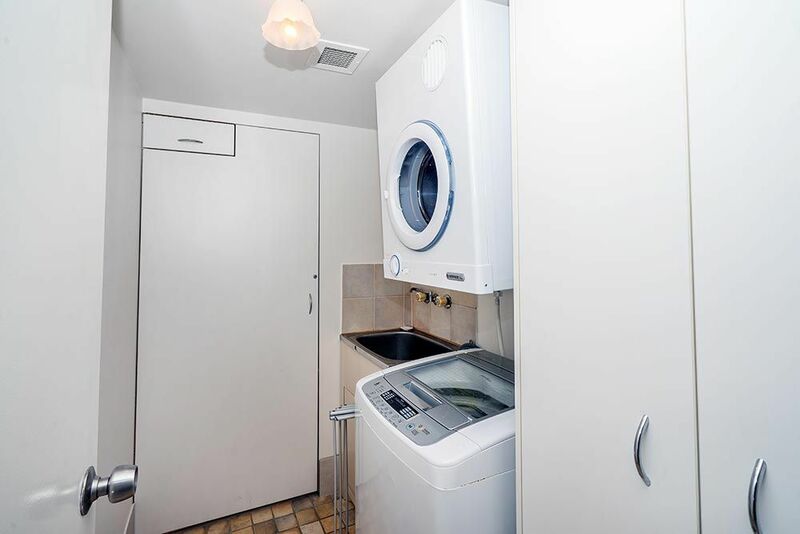 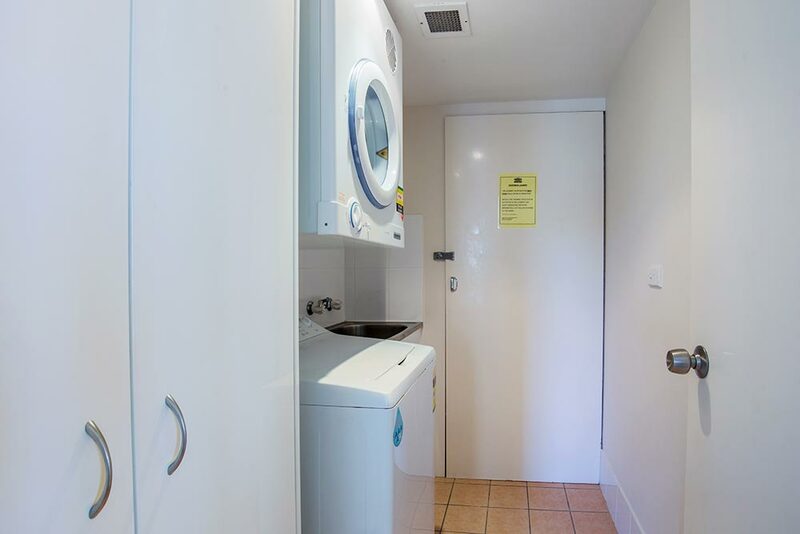 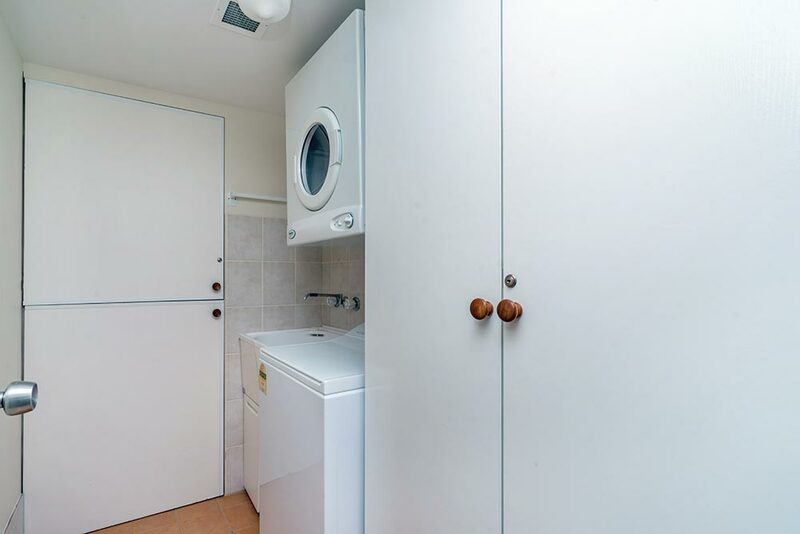 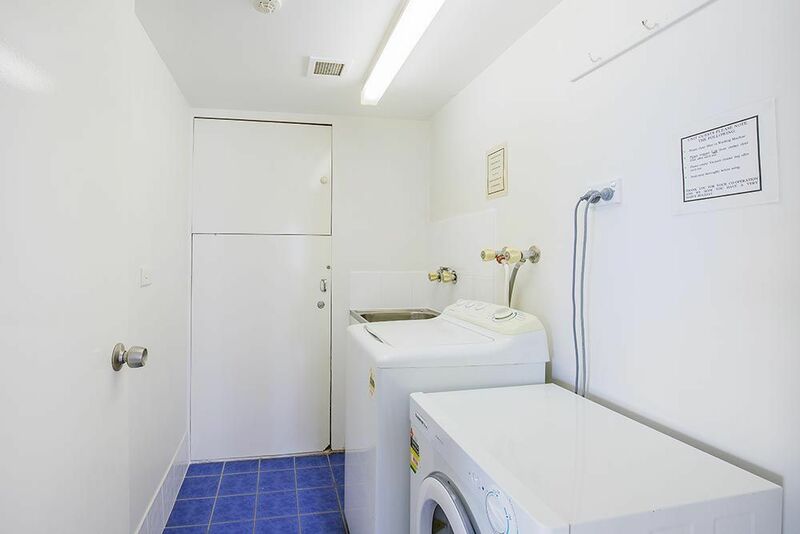 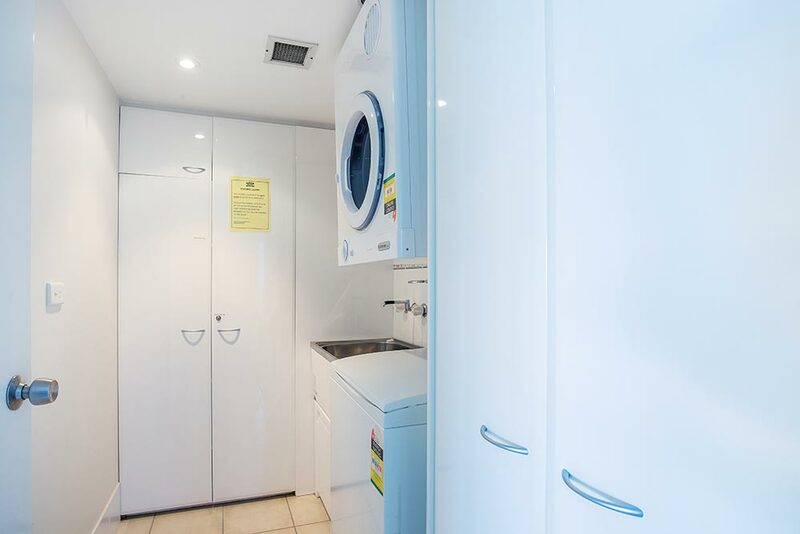 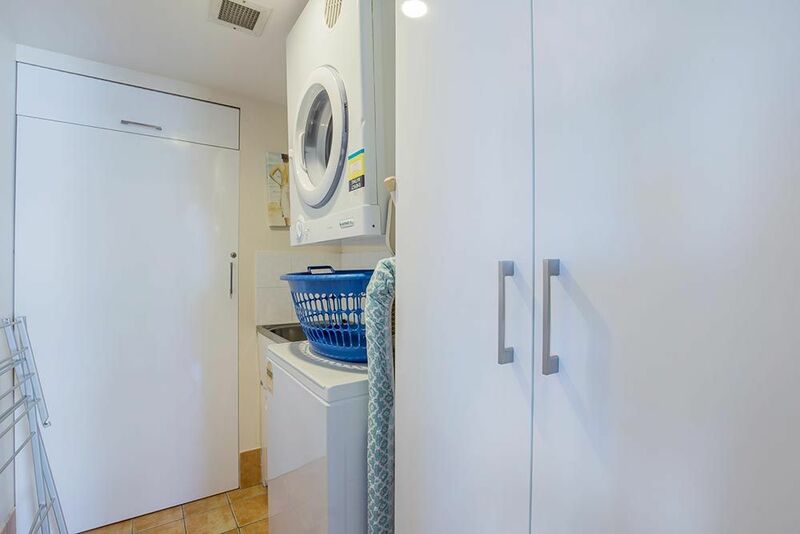 Each apartment is equipped with Full kitchen with full size fridge, oven and stove top and a separate laundry with washing machine and dryer.